Need to class up your library? Well, nothing says class like a gun. 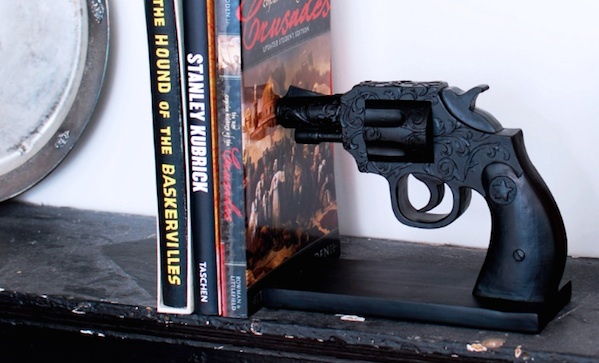 This duello bookend ($50) speaks to a more violent age (or taste in fiction), and looks better on your shelf than, say, an actual gun. Which you couldn’t legally do anyway, unless you have some kind of mini-gun safe that you use as a bookend. Or store your books in your gun safe. But that’s just silly.